Are you having trouble make bail? That $10,000 full cash bail requirement can be tough for many people. Most people do not know or think about that real property that they might have interest in, whether it be a complete homestead or even just a lot. Pursuant to Ind. Code 35-33-8-3.2(a)(1), a trial court may permit a defendant to be released on a real estate bond, where your interest in the real property or the real property of another person (e.g. family member) can be offered in lieu of cash. 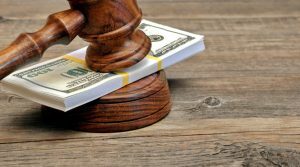 Do this at your own risk, however, because if you fail to appear in court, the real estate bond can be foreclosed on to pay fines, costs, fees, restitution, bail, etc. You most likely do not want that to happen. The specific requirements to do so may differ from county to county but it is possible. Generally, there is a local rule setting a bond schedule, so most likely you will have to request a bail or bond modification after your initial hearing when your bail or bond amount is usually set. If you or a family member need help making bail, please give us a call at (765) 640-1330 or email Alex Beeman at alex@beemanlawoffice.com.